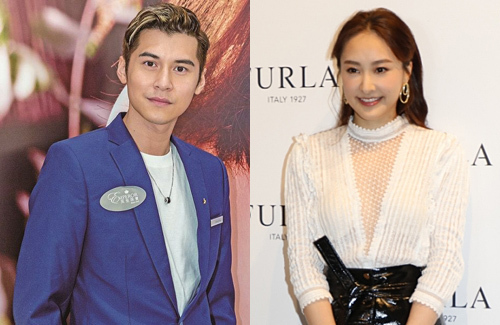 Since filming ICAC investigators <廉政行動2019> in August, Jeannie Chan (陳瀅) and Carlos Chan (陳家樂) have been a rumored couple. Tabloids even claim that Jeannie and Carlos spent a three-night trip in Tokyo over the New Year holiday, but the pair denied the rumors. Appearing at an event today, Jeannie said that she has not been in contact with Carlos for some time. Being born in the year of the snake, Chinese traditions indicate that Jeannie may be encountering back luck this year. Asked if she has found any methods for avoiding the bad luck, Jeannie said she is normally not superstitious, but she became wary of everything ever since she scratched her car twice in the New Year. When she mentioned the fact that she will be going to the romantic city of Paris for a fashion event, reporters asked if Jeannie considered her rumored boyfriend, Carlos, as a romantic person. Quick to deny that she has anything to do with Carlos, Jeannie said they only talked to each other when they were filming on set and are only colleagues. “I don’t know if Carlos is romantic or not. We only had contact with each other when we were filming. After the production was finished, we never reached out again,” Jeannie said. Jeannie admitted that she currently has no pursuers at the moment, and joked that she is always getting rejected.